The new for 2018 Jeep Wrangler is a modern update on the classic all-terrain SUV. The Wrangler has the high-style and appeal unlike anything else in its price bracket. In fact, the Mercedes-Benz G-Wagen might be its closest match and it has an MSRP of $123,600, over four times more than the Wrangler’s base MSRP of $26,995. 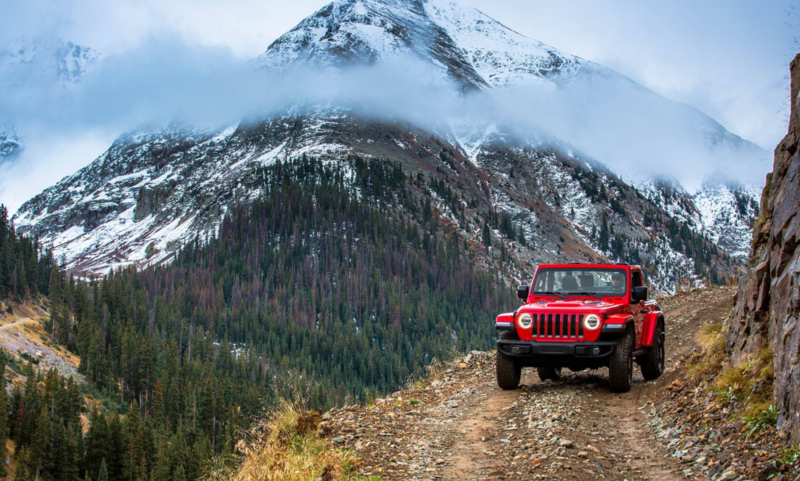 Available in the familiar two-door and four-door versions with hardtop or soft top, the 2018 Wrangler has received many updates that make it more civilized for use as a daily driver, including a more absorbent suspension and a cabin adorned with the latest infortainment and additional comfort features. However a loud cabin means long hauls will be tiring. The Wrangler works best as an off-roader, a car to take to the beach or lake, or as an occasional use vehicle for jaunts around town. Summary: Like the G-Class, all the style comes at the expense of passenger room, handling and comfort, so if you’re looking for a Jeep that looks rugged without as many compromises then check out the more conventional Jeep Grand Cherokee, which includes advanced safety features, like automatic braking and collision warning, both not currently available on the Wrangler.